View Poll Results: Could Atlantis be real? I just join on this forum,because i lately started to read more,and more about science. I hope this is right place to ask,but if it's not,i would like admin move it on right sub-forum. In last few days,i read about lost civilizations,and Atlantis crossed my mind. I was wonder,is it possible that Atlantis was real continent that vanished for more then 10 000 years ago,which had great advanced technology? I'll also put voting poll so you can vote if you think is real or not. They have looked for it many times but as yet have not found anything that resembles Atlantis. It was a myth started long ago but some people think that myths could be possible. The story of the Isle of Atlantis first occurs in Plato's two dialogues the "Timaeus" and the "Critias." Plato's story centers on Solon, a great Greek legislator and poet who journeyed to Egypt some 150 years earlier. While in the Egyptian city of Sais Solon received the story of Atlantis from priests. Bear in mind that what you read about "Atlantis" is pure speculation, based on about two sentences from some dead Greek guy written ~2,000 years ago. Any more detail than he provided is entirely fabricated and unsupported. In exactly the same way it's possible that I'm the secret ruler of the world with a fleet of alien star ships at my command. Last edited by dan hunter; August 1st, 2014 at 10:30 PM. High Raptor. Whether or not Atlantis is real or not is an interesting question in its own right but the idea that perhaps there was a coastal civilisation that pre-dates to around 14000 - 7000 BC which subsequently was submerged that may have been a 'common' origin for future disseminated sea-faring civilisations has always intrigued me. I prefer to think of this notion than that of an 'Atlantis' which get's its fair share of very 'exotic claims'. Plato described Atlantis as larger than Asia and Africa combined, so the only comparably-sized land mass (and posing as an island) would be the Americas. With respect to traces being found of a possible 'cradle' civilisation that pre-dates the Neolithic, if indeed such a civilisation occupied coastal areas of a continental shelf somewhere, the permanent preservation of traces of this civilisation would depend to a degree on the nature of constructions used and the local availability of construction material. There's even a song about it that was made a few decades ago. The city of Troy used to be considered a myth, dreamed up by story tellers and then compiled into a single story by Homer. However, the ruins of that city were later found. Homer gave a lot more useful details about Troy than Plato gave for Atlantis, though. The thing about oral traditions is they rarely match the thing they are describing perfectly. Some archaeologists think Plato might have gotten the details for his story from an Island state called Minoa. However, Plato clearly states that the continent of Atlantis was further out than the "pillar of heracles", and that it was in an ocean, compared to which the nearby sea would be just a bay. It's hard to interpret that as not meaning it is past the strait of Gibraltar. Actually, this is starting to look like a strong possibility for Atlantis. A site in Spain. It's on the Atlantic Ocean, and outside the Strait of Gibraltar (Pillars of Heracles). It's not on a separate continent, but it's quite possible that ancient chroniclers may not have known that. They might have had sufficiently poor maps that they were unaware Atlantis could be reached by means other than the ocean. Might it be possible... Yes a great many things can be argued as 'Might be possible' That the arguments have NOT been conclusive. Could it be a ancient part of the Greek isle lost in some volcanic event, yes.. but as we have not found any trace of such it remains a myth and is unsupported by science revue.. Simply not enough information is available to confirm any Atlantis did ever exist. When I combine these statements with Thor Heyerdahl's Rah raft experiment maybe it is possible that the Egyptians tried telling Solon about America but it got messed up in the translation between the Egyptians, Solon and Plato. It's an interesting possibility. Atlantis would have considered itself to be on the continent of "Atland". The Aztecs believed their people came from a place called Aztland. And their capital being built upon a lake, perhaps it might have looked something like the description of Atlantis at one time. Or perhaps they had an earlier capital somewhere else that was also built upon a lake? Another interesting possibility would be if the founders of the Aztec culture had come from Western Spain. Perhaps with some relation to the Basque? I know that's insulting to Aztecs, to think they got anything from the West. So it could also be the other way around. Maybe the city state in Western Spain was founded by sea faring Aztecs? Far more likely to be the Minoan eruption, for which we have good evidence than anywhere else. Well, that is the problem of Atlantis in a nutshell. I can speculate, we can speculate, the entire universe can speculate, but in the end we have no way to do a reality check on our speculations because so far there is no real evidence of an Atlantis to be found anywhere except for a few lines of hearsay from Plato. It might only ever have been a myth, but so long as we stay aware that we are only speculating I think it is fair to speculate. I have some doubts about it being the Minoans. For one thing I think the Greeks already knew about the Minoans, and the Minoan islands would be in the wrong location according to Plato. I can forgive Plato for getting the place wrong (West of the Atlas mountains), his account was more than a thousand years after the Minoan eruption. I tend to think though it's still the most likely event described because it shattered the island, destroyed a good amount of the Med coast with the tidal waves. It there really any other strong candidates which we know about from geology which the Greek might have known about? Are you hinting they are one and the same? Atland = atlantis??? I think he is hinting it is a made up term. Actually, if you look at the links, there is actually very good evidence for the site in Spain. Plato Describes the layout of Atlantis. First of all they bridged over the circles of sea which surrounded the ancient metropolis, making thereby a road towards and from the royal palace. And they had built the palace at the very beginning where the settlement was first made by their God [Poseidon] and their ancestors; and as each king received it from his predecessor, he added to its adornment and did all he could to surpass the king before him, until finally they made of it an abode amazing to behold for the magnitude and beauty of its workmanship. For, beginning at the sea, they bored a channel right through to the outermost circle, which was three plethra in breadth, one hundred feet in depth, and fifty stades in length; and thus they made the entrance to it from the sea like that to a harbor by opening out a mouth large enough for the greatest ships to sail through. 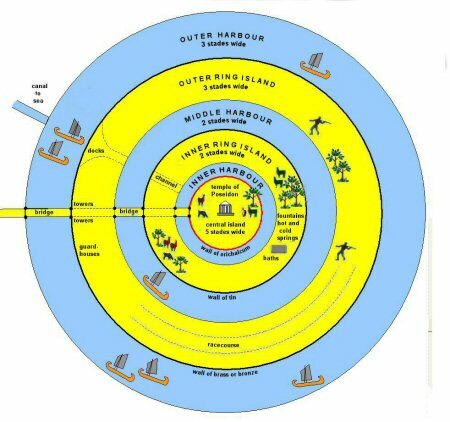 Moreover, through the circles of land, which divided those of sea, over against the bridges they opened out a channel leading from circle to circle, large enough to give passage to a single trireme; and this they roofed over above so that the sea-way was subterranean; for the lips of the landcircles were raised a sufficient height above the level of the sea. The greatest of the circles into which a boring was made for the sea was three stades in breadth, and the circle of land next to it was of equal breadth; and of the second pair of circles that of water was two stades in breadth and that of dry land equal again to the preceding one of water; and the circle which ran round the central island itself was of a stade's breadth. And this island, wherein stood the royal palace, was of five stades in diameter. Now the island and the circles and the bridge, which was a plethrum in breadth, they encompassed round about, on this side and on that, with a wall of stone; and upon the bridges on each side, over against the passages for the sea, they erected towers and gates. And the stone they quarried beneath the central island all round, and from beneath the outer and inner circles, some of it being white, some black and some red; and while quarrying it they constructed two inner docks, hollowed out and roofed over by the native rock. And of the buildings some they framed of one simple color, in others they wove a pattern of many colors by blending the stones for the sake of ornament so as to confer upon the buildings a natural charm. And they covered with brass, as though with plaster, all the circumference of the wall which surrounded the outermost circle; and that of the inner one they coated with tin; and that which encompassed the acropolis itself with orikhalkon (orichalc) (mountain-copper) which sparkled like fire. The royal palace within the acropolis was arranged in this manner. In the center there stood a temple sacred to Kleito (Cleito) and Poseidon, which was reserved as holy ground, and encircled with a wall of gold; this being the very spot where at the beginning they had generated and brought to birth the family of the ten royal lines. Thither also they brought year by year from all the ten allotments their seasonable offerings to do sacrifice to each of those princes. These links describe what they believe they have found in Spain. It was a legitimate archaeological inquiry, except they thought they were looking for another ancient city of Tartassos. Popular artistic reconstructions from Plato's description look like this. I mean, I guess that might have been a common layout at some remote point in history, or Plato might have borrowed from the stories of the best remembered great cities in order to create a "Tom Sawyer" city constructed from the others. But for a really impressive city to have existed on the Western shores of Spain and find its way into legend isn't any more extra-ordinary than any of the other cities from history to have found their way into legend. An unremarkable claim shouldn't require extraordinary scrutiny. The sinking of a continent is another matter, but if the site in Spain bears out, then no continent was sunk. 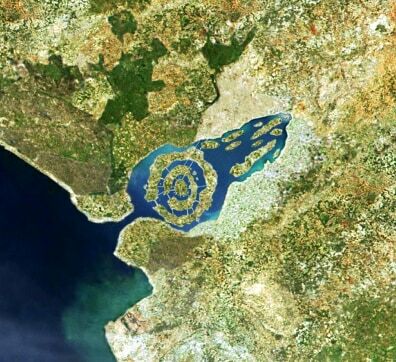 Plato's mistake of believing Atlantis had been on its own continent could be a simple mistake by mapmakers. No.......... Not in the least. I think that was pretty plain. Kojax, where did you come up with the term "atland"? The location seems to be a really foolish place to build a city, as it would be totally prone to flooding and in a earthquake to liquefaction. Christchurch in NZ a couple of years ago had an earthquake plus liquefaction and the effected areas have sunk. Now they are flooding all the time. If the ancients built a city there in Dona Ana Park they deserve to vanish! Robbity, that is not relevant to the discussion at hand, and its not even reliable data that id being provided by Kojax, but just far flung speculation. Of course it is relevant. Prior to a tsunami there are often earthquakes, and this location is sediment from a river estuary just the sort of material that will be seriously affected by liquefaction. So buildings there could be seriously buried in sand by now. So I think it is possible they have found the location of Atlantis. To be fair Aztlan is the place the Mexican myths say was where the Mexican people came from. 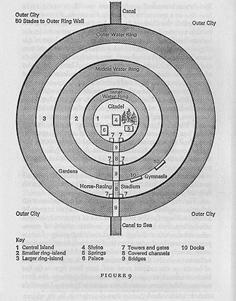 However their myth of Aztlan does not resemble the myth of Atlantis very much. People often point at sites that were once considered myths and reason that all such mythical sites must exist. That is a faulty way to reason. It will be interesting if they manage to dig up a city there. I have trouble reading but on YT I can listen to the documentary. You get to see the symbols and the layout of the land. I just asked if you had looked at it. I would advise caution Roberttybob when watching National Geographic Chanel. Concept and ideas are not yet as strong as suggested. Remember the scientific method. Apply it. These suggested discoveries are not yet confirmed as real. I would demand a dig.. excavations, proofs of theory confirmed. I'd like to find out where those Amazonian women are located for it would appeal to me more than Atlantis would. The hills in the background do not look like the Amazon. We have better more precise methods of subterranean probing and mapping.. The metal rods used for Amber location..no. Ultra sound and wave frequency detectors allow a detailed map to be built.. Archaeology is a science best approached with some knowledge..
She looks a lot more Irish than Amazonian too. Many islands have tall mountains. How do you know what their land looks like anyway?? That is because they may have originated from there or found ways to dye their hair. I have no good reply to that one and so it finishes this thread for me. They said there methods went down 7 meters but I'm sure Atlantis is buried deeper than that. What technique could show up stone structures up to 20 meters deep? At least to a level consistent with the sea level thousands of years ago. Late ice age sea levels could have been rather low, so there could be quite a lot of infilling of that estuary over the years. There's more than 6000 years between the end of the last ice age sea level raise and Plato. While it's not impossible that stone building cultured existed back that far and is now along the continental shelf off shore, it seems pretty unlikely. Hasn't it been a gradual loss of ice from the end of the Ice Age till now. I know in NZ the glaciers just keep on retreating. So I was trying to define how deep a city that was at sea level then (at the supposed time of Atlantis) and now. And it was said to have sunk below the sea level of that time. So when did Atlantis disappear and how much has the sea level risen since then? Those are the questions I want to answer at the moment. I have read about its destruction but not really taken it on board. Plato writes about things that happened 9000 years before but I personally think that is unlikely that the history of those events could be carried forward with accuracy, and he talks of the Greeks so I'd imagine it was more likely 900 years before Plato (360 BC) so that added brings it up to the time around the Trojan Wars of about 1,200 BC. So has there been a sea level change in the last 3000 years? According to http://judithcurry.com/2011/07/12/hi...ene-to-romans/ the level change over the last 3000 years seems to be in the order of 2-3 meters. OK how much elevation does that plain* have today? (* the vast marshlands of the Dona Ana Park). To that we would have to add the amount it sank by. Those 3 factors would need to be added plus the subtraction of any change in the land elevation over the last 3000 years. Last edited by Robittybob1; August 6th, 2014 at 09:47 PM. Well look at the chart in the article you linked. It shows how long ago the last major change was to sea level. Local changes in geography have been the largest compared to actual sea level most places over the past 8000 years. For your prospective Atlantus location you can look at relative change to local conditions.... some earthquakes for example can drop a location by 5m or more in a single day...that's the sort of catastrophe that would match Plato's version a lot better than the cm by cm per decade change of slowing rising seas, or subsiding lands. Exactly, we'd need to add all the changes in that region over the last 3000 years so we can estimate how deep in the sediment we'd expect any buildings to be. I had a feeling they weren't looking anywhere deep enough, but that was purely a gut feeling. I'm not sure how much more research on that region can be done via the internet. But if we take the amount you estimate the initial land change to be = -5 meters. Plus the overall sea level change globally = 3 meters. So that adds up to 16 meters. Can the ground be probed to a depth of 16 meters? Like if it is just a basin filled with sediment it will be probe-able down to bedrock but if we were to hit large stones at severely varying depths I'd say that would be indicative of a stone structure. E.g. a wall would be low - high - low with a short span between. Last edited by Robittybob1; August 6th, 2014 at 11:52 PM. I was trying to tell you we have and can 'Map' the changes of densities hundreds of meters deep and through rock strata and softer sub structures.. I have myself been part of a team of technicians looking for oil bearing strata and structures.. and some of that from thousands of fathoms deep near the East Coast of New Zealand. ~ We have equipment right now that can and does 'Map' thousands of feet beneath the surface.. No drilling of holes required. I can assure you given the interest in this.. If it's there. They will find it. What is the machine called? seems to be limited to under 4 meters deep. So there is obviously other technology that looks much deeper but will it pick up large stones? Just in terms of land that is in the right place as dfiscribed by Plato and is just barely covered by the sea I would offer the Bahamas. The current Islands are surrounded by vast areas of shallow water which would have been dry land if the sealevel was just a few feet lower. We know that the sea level was hundreds of feet lower relativly recently in geologic time. The "blue Hole" in Belize is actually the collaped top of a "mammoth Cave " type cave, that is one that is formed by fresh water cutting away limestone strata. It has stalagmite formations that are formed only above water, yet it is completely submerged now. However there are no Bahamian ruins. It would be too far away to for sailors 11,000 years ago, wouldn't it? Hard to say, especially if the oceans were lower, or if they genuinely were more advanced than the rest of the world at the time and had developed good sailing technology. In the modern era with the printing press and all, we see technology as a continual march forward. It's hard to imagine information about how to build something becoming irrecoverably lost. But information got irrecoverably lost all the time in the ancient world, whenever the last copy of a book was lost. Intercontinental sailing technology could have been developed and redeveloped several times in ancient history, only to be lost again. After all, Hawaii had inhabitants for a long time before they ever met Europeans. But I don't see how the city would have fallen in a great cataclysm. Is there any evidence of recent volcanic or seismic activity in the region? The trouble with arguing that this or that accomplishment was "impossible using ancient technology" is that it plays right into the hands of the "Ancient Aliens" crowd - who similarly argue that this or that accomplishment was "impossible using ancient technology". Kojax edit your post above before someone quotes it. Do you mean that low that people could virtually walk there? The Atlantic has been spreading for the last 180 million odd years so when was this time ancient humans could cross the Atlantic? I'm not saying it was impossible, for there might have been a time when boat building was all the rage (like they speak of building Arks for God's sake), couldn't they build a ship to cross the Atlantic? Refer again to Thor Heyerdahl and the rafts he built and sailed across the oceans. I know they were able to go one way. Atlantis and back is a two way trip, and I doubt if it could be done on a raft. But I'm open to suggestions. Look who do you think populated Atlantis (in the Bahamas)? Did they get there via the land bridge between Asia and Alaska? Why specifically do you denounce the Minoans as the source for Platos story Robbity? I think Heyerdahl made a lot of mistakes because he was in love with a pet theory. However, he did demonstrate that primitive boat building techniques could get people across oceans. If the Vikings, in what were really just square rigged rowboats, could cross the north Atlantic in both directions I see no reason to assume the people on boat shaped rafts like Ra or Kon-Tiki would have been unable to. Robert and others, think this thread is getting away from anthropology and mostly into wild speculations.... please keep it to verifiable facts preferably backed up by credible references. Lynx I think we were just asking questions of each other. I was about to see if the Aztecs and the other Central American cultures were related to the Red Indian or were they a separate genetic line. I recall there was evidence that the Japanese came straight across the Pacific (finding came out a couple of years back). I haven't said anything specifically against the Minoans AFAIK. When were they around? All I said was that 9,000 years was a long time to keep knowledge separate from fables, so I thought it might be 900 years instead. OK Minoans the culture that lived on the Island of Santorini (near Crete) a little island and not through the Pillars of Hercules. Those bits didn't make sense. Last edited by Robittybob1; August 8th, 2014 at 10:51 PM. I think a lot of history disappeared during the bronze age collapse. What history did remain likely ended up very distorted. A lot of cities that were destroyed and left in ruins had their histories rewritten by other people after societies recovered enough to start recording stories again. That's exactly the type of crazy off focus speculations we don't need or want here in the hard-science part of the forum. There are a few threads in the past that explored Atlantic crossings in the past. There's really no credible evidence for such before Lief Erikson--not in genetics, not in plants, not in desease exchange, nor anything else. All we have is a couple reed boats that had a lot of modern assistance (and tech) and barely made the trip. I can't recall if it was genetically proven or not now, I can't even remember on what forum (Sciforums or Science Forums?) it was discussed. A hard-Science discussion on Atlantis? OK. There is video of the coastguard sinking the ship. https://www.youtube.com/watch?v=qSCdnLq3XMI That same sort of event could have happened in the past too. I wouldn't discount it. Last edited by Robittybob1; August 8th, 2014 at 11:53 PM. Yes, even a harley davidson motorcycle managed to float from Japan to B.C. Now I am not saying Thor Heyerdahl was from Atlantis or anything like that, but after all it is a thread about ATLANTIS and in that case then anything might have happened. By the way, does everybody agree that the Atlantic Ocean was named after the Lost City of Atlantis, or do you think it was the other way around? Are you backing the Minoans as the source? If so, why? @Dan. I don't agree, Atlantis and Atlantic may have a common root (Atlas) but the Atlantic is not named after Atlantis Online Etymology Dictionary and Atlantis was mentioned long before the Atlantic was named so can't be named after the Atlantic. The oldest known mention of "Atlantic" is in The Histories ofHerodotus around 450 BC (Hdt. 1.202.4): Atlantis thalassa(Greek: Ἀτλαντὶς θάλασσα; English: Sea of Atlas). The term Ethiopic Ocean, derived from Ethiopia, was applied to the southern Atlantic as late as the mid-19th century. Before Europeans discovered other oceans, their term "ocean" was synonymous with the waters beyond the Strait of Gibraltar that are now known as the Atlantic. The early Greeks believed this ocean to be a gigantic river encircling the world. Do you hold the premise then that all of what Plato wrote was 100% accurate in detail and thus it can not be Santorini that was discussed? What would ever make you think or say that? People have a tendency to think that difficult = impossible. It does not. This is incidently the great secret of stage magic, but that's a subject for another time. Trans Atlantic crossings are diffinately possible with primative craft. The voyages of the RA and Kon Tiki prove it, but in addition there was a German doctor who sailed a Klepper Aerius from Germany to the West indies, back in the 1950's. An aerius is a folding, canvas over a wood frame, partly decked, canoe. The ancients frequently had the idea that the land somehow floated on the water and could "sink". In rare situations this is possible but far more likely is that the water level rose. It could even have happened pretty quickly. The ice age was ending and massive glaciers were melting. They did not always melt smoothly and gradually. The geology of the Dakota "bad lands" indicates the catastrophic collapse of an ice dam holding back a vast glacial lake. There was once a similar, if smaller, lake that covered about a third of what is now New England. OK, so they both must have been named after the mountain range then. More wild speculations.....having little to nothing to do nor linked to objective evidence of Atlantis or any other stories, completely lacking in logical timings (the quips about the last ice age...8000 years before) or showing anything other than some reed boats might have made one way trips but no other evidence that even one actually did. Should we just move this to general? I think that would be very generous.